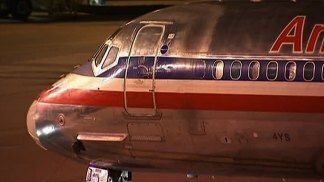 American Airlines pilots knew the cuts were coming, but the union calls the new terms “atomic.” A company spokesperson tells NBC 5 that there’s no joy in making the cuts, but claims it has to be done for the airline to survive. Did they really not expect this after voting down the last TA? I think everyone saw this coming a mile away...except the APA membership. I'm not necessarily a huge fan of APA but do you really think the TA would have saved the company from bankruptcy? Not a chance. With bankruptcy laws being as unfavorably sacked against labor as they are, AMR was going to get what they wanted either way. The pilots have a right, especially after having already sacrificed, to stand up for themselves. I doubt a single pilot flying a bare metal airplane honestly thought the circumstances wouldn't come to this, but maybe that wasn't the point. I'm not necessarily a huge fan of APA but do you really think the TA would have saved the company from bankruptcy? Not a chance. With bankruptcy laws being as unfavorably sacked against labor as they are, AMR was going to get what they wanted either way. The pilots have a right, especially after having already sacrificed, to stand up for themselves. Give up or go down fighting. At least the pilots can still push back. My understanding is that had they accepted the crap TA that was presented, they'd have no such option. Like I said, one way or another, AMR was going to get what they wanted. 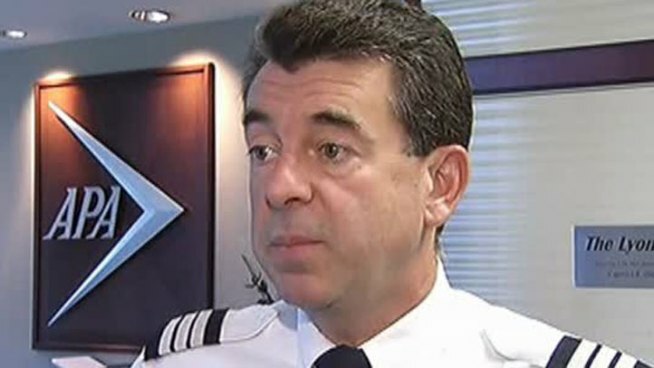 APA and their pilots knew this going in, rejecting the TA was likely a statement more than it was an honest shot at trying to keep their pre-bankruptcy contract. It's going to get really slow,low,tired and mx will be busy over at AA. Do you guys think that Cpt. Bates was in cahoots with AMR, or that he was actually working to do something for the pilots? LOL!!! I'm just trying to understand the situation. the way these events are unfolding obviously isn't good. Give up or go down fighting. At least the pilots can still push back. Not sure where you're getting that idea. The APA has (once again) shot themselves in the foot. AMR has imposed terms so draconian that no other legacy airline team has ever even imagined them before, even during the 2000s bankruptcy era. This is truly horrible new territory. And the APA had a chance to avoid it, but chose not to. As you say, to "go down fighting." Now, they have imposed terms that include a duration of 6 years. That means that they will not have an opportunity to go to the NMB for mediated talks until at least then, probably later (the NMB likes to see direct talks for a year or so before accepting a case for mediation). And then, since management will have the most draconian pilot contract in legacy airline history, they'll be in absolutely no hurry to bargain. They'll stonewall for years. So, in all likelihood, unless Doug Parker comes to the rescue with an Airways merger, the APA pilots will be living under this atrocious contract for the next 10+ years. The APA is a joke. They have done more to damage this profession over the past twenty years than any management team could have ever hoped to do. One horrible court ruling after another, all as a result of arrogance and incompetence on the part of the APA. My understanding of these things (and correct me if I'm wrong) is that had they accepted the TA, they'd be stuck with it for however long the TA specified and unable to renegotiate or strike. Thus, theyve protected the slim chance they have at being able to help themselves either over a negotiating table or with a picket line. Edited because my reading comprehension is hovering around a 3rd grade level this morning. I think the big lesson is when you're threatened with bankruptcy and the company AND union come to you with the "take these cuts and they'll leave us alone in bankruptcy" (DL) or "take these cuts or we'll go bankrupt" (AA), it doesn't matter because they're going to do what they're going to do and come after you when the file. But that's the problem. They have no chance. A strike is illegal (the APA's own general counsel has told them so), and the NMB isn't going to recognize their case as being ripe for mediation until they hit the amendable date of the term sheet, which is six years from now. They got the same heinous long-term duration, while getting far worse terms on the deal itself, including a huge loss of flying and the resultant furloughs. There is no positive here. The APA bungled this whole thing. Again. The bankruptcy laws are jacked. And what is even scarier is that some on here want unions to have even LESS power to bargain. There's no positive for AMR management either. With the wave of retirements about to occur at every other mainline carrier, how does AMR expect to recruit top quality talent in the years to come? Trust me, AMR doesn't exactly care about recruiting top talent. From someone who spent 7 years in the AMR collective, you ARE just a number, you ARE disposable, you do NOT matter. At all. Resistance is futile. So, you're saying the APA should have taken the crap sandwich BK contract AA handed them? Wow. The Evil Empire moniker really does apply. So I was right to ask my question earlier about Cpt. Bates! He did say that it wasn't good, but recommended the TA because the alternative would have been much worse. He's gone now, and look at the situation. I feel bad about this whole thing, but what exactly is the alternative, and where will the improvement come from?